Sept 30 is Hot Mulled Cider Day! As if you needed a reason to celebrate (I mean, its already Friday) — it’s also “Hot Mulled Cider Day” which is certainly a worthy reason to have some fun. 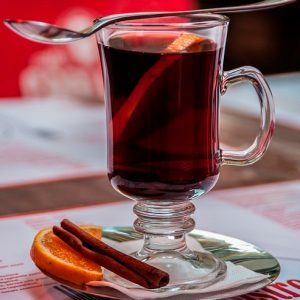 Gluhwein, a traditional German and Austrian beverage, is made up of red wine and mulling spices — sub in spiced, mulled cider, and you’ve got the perfect fall-festive cocktail. 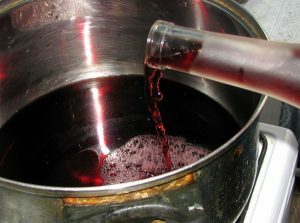 Heat gently, just below a simmer – be sure not to boil! Adorn these with adorable Instagram/Pinterest-worthy garnishes such as orange slices, cinnamon dusted apple wedges, or cinnamon sticks– or, dump in a coffee mug and enjoy (like I do). Note: A crock pot or coffee urn also work well if you want to keep this to temp for a party crowd.